MUJI HOTEL GINZA opens April 4, 2019, in the heart of Tokyo. This stylish accommodation with characteristic Japanese minimalist rooms allows guests to take in the rich history, shopping, and fine cuisine in Ginza just footsteps away. MUJI HOTEL GINZA is a lodging operated by the Japanese brand MUJI, an international brand known for its simple but high-quality houseware, fashion, and lifestyle goods. Starting April 4, 2019, you will be able to stay at the third accommodation by MUJI, located in the heart of Tokyo in Ginza. The Ginza area has played a vital role in the economic and cultural development of Tokyo, and the hotel incorporates elements of this history with recycled cobblestones and materials in its unique architecture. 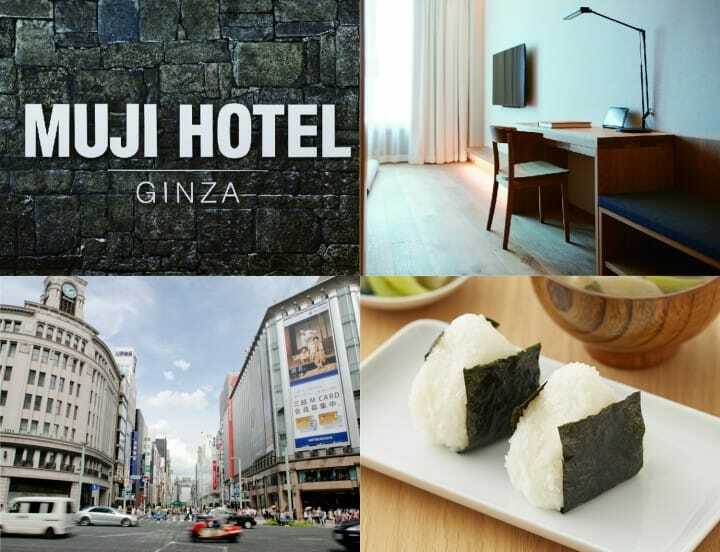 With 79 rooms, a restaurant, and other facilities on top of a 6-level MUJI store, MUJI HOTEL GINZA allows guests to fully experience the surrounding area's shopping, dining, and history with the comfort of renowned MUJI style and quality. There are nine different types of rooms of varying sizes and styles at the hotel on the 7th through 10th floors. Rooms are suitable for 1-2 guests (*1) and feature modern Japanese design elements, including some with tatami mat flooring. With few furnishings and a clean interior, travelers will feel right at home after a long day of exploring Japan's capital. *1: Certain rooms can accommodate up to 3-4 guests. Please inquire directly for further details. Another standout feature of the rooms are the bed mattresses, developed with sleep research, ensuring a good night's sleep. The towels and included amenities are all MUJI brand, creating an even more relaxing stay. Guests are encouraged to explore the rest of the hotel space, too. ATELIER MUJI GINZA on the 6th floor of the hotel will contain an art gallery, a salon, a library, and a lounge space for holding events. The gallery will feature seasonal exhibits, and guests will be able to feel refreshed after a visit to the salon. Don't forget to stimulate your minds with books on art and design at the library. MUJI HOTEL GINZA has two eateries visitors can enjoy. Both serve classic and healthy Japanese cuisine for all three meals of the day. WA is a restaurant on the 6th floor that will specialize in homestyle cooking from different regions of Japan. The menu changes by season. Udon noodles, sukiyaki, seafood, and other traditional choices can be found until the end of June 2019. The first basement level houses MUJI Diner, a casual eatery with simple but nutritious choices such as rice balls and miso soup. MUJI Diner is also open for breakfast, lunch, and dinner. For more details on restaurants and food options, refer to the official website below.